Barcelona head coach Ernesto Valverde described Tottenham striker as "extraordinary" but would not address transfer rumours linking the England captain with a switch to Camp Nou. 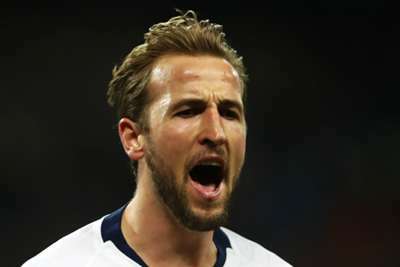 Kane signed a six-year contract in June before winning the Golden Boot at the World Cup, where he scored six goals in England's run to the semi-finals. The striker has shown little interest in leaving the Premier League club but reports have suggested Barca see him as a possible long-term successor to Luis Suarez. Kane will have a chance to impress Barca's board at close quarters on Tuesday when Tottenham visit in the Champions League, needing a win to progress to the knockout rounds. But while Valverde is impressed with the development of the 25-year-old, he would give no clues as to whether Barca would be interested in a deal. "He's a great, extraordinary forward on a global level," Valverde told a news conference. "He can shoot, he is good in the air and makes the difference in the box. You can't give him any space, even one metre. He is a difference-maker. "I don't like talking about players from other teams, we try to have some discretion about them and worry about our own, but that doesn't mean we can't have respect for what he does." With Barca assured of top spot in Group B, Valverde is widely expected to rest stars such as Lionel Messi, who gave a remarkable individual display in a 4-0 derby win at Espanyol on Saturday. Valverde confirmed Luis Suarez, who returned from injury against Espanyol, will be left out but was unwilling to give further clues as to his team selection plans, with Inter needing to better Spurs' result when they face PSV to qualify. "Sure there will be changes. Players need rest and we had a tough match last Saturday," he added. "They are going to bring their best players, not necessarily something that we can do. The players have some discomfort so I have to take that into account. "After being without him [Messi] for several games I don't know if we'll have him out there for two games in three days. But Luis Suarez is definitely not going to play." Pressed on Messi's availability, Valverde added: "I will tell you in 24 hours when I announce the team. "The important thing is the players who come out of the dressing room are motivated and ready to play. They're facing a team that has everything riding on the line. "There's nothing to fear but it's not that different from the match at Wembley. Players will have to play their best to win tomorrow and I have no doubt about that." Valverde suggested Jasper Cillessen could start in goal in place of Marc-Andre ter Stegen and indicated Arthur may also return from injury against Spurs.